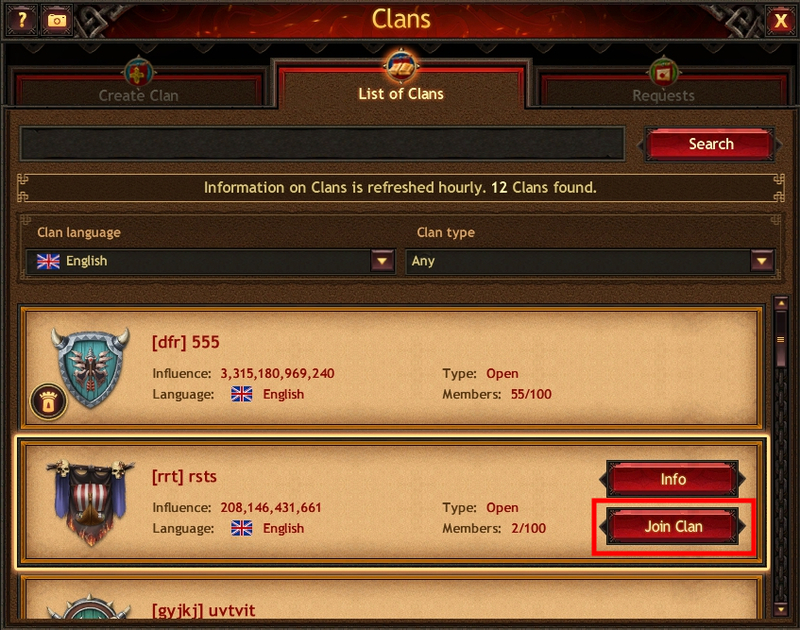 All Clans in the Kingdom are displayed in the List of Clans tab. To find a suitable Clan, you can use the search bar and filters. There are two Clan admission types: open and regulated. Anyone can join a Clan with open admission. To join a Clan with regulated admission, you need to receive an invitation or send a request and wait for a response from the Chief or Elders. You cannot quit the Clan or be expelled from it for 24 hours after joining. 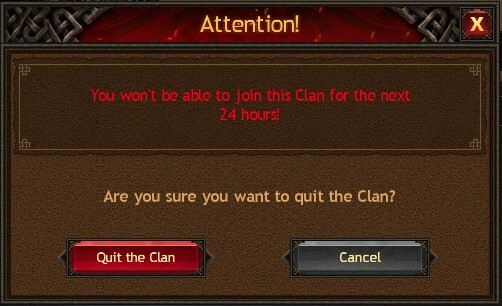 You cannot join the Clan if you quit it less than 24 hours ago. For completing Clan Tasks and helping your clansmen, you get Prowess Points and Loyalty Points. Prowess Points allow the Chief and the Elders to buy items from the Item Catalogue for the Clan Store, where Clan members can purchase various items for Loyalty Points. 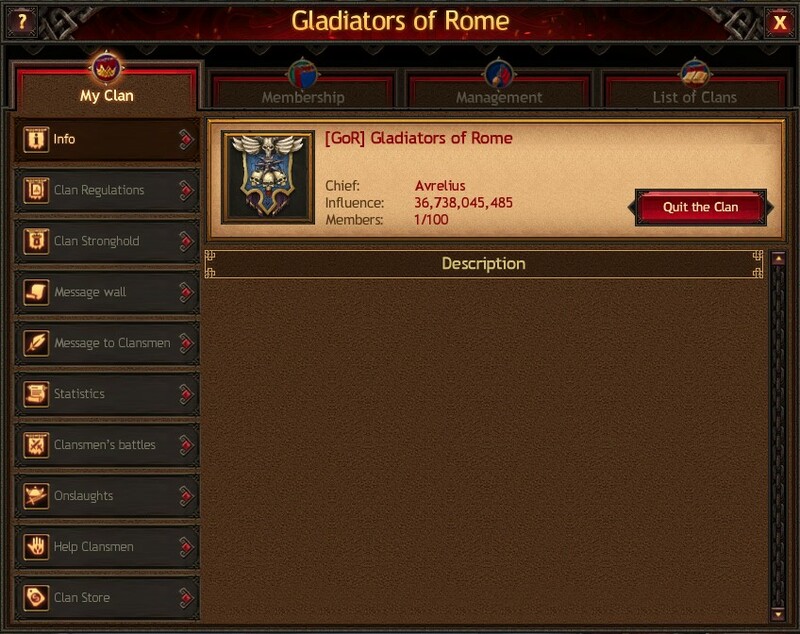 Each Clan member is assigned one of five titles: Chief, Elder, Warlord, Warrior, or Ranker. Everyone except Rankers can see if other clansmen are online or offline. Elders have access to the Clan management menu. They can also procure items from the Catalogue, expel Jarls from the Clan, study Knowledge and Drafts, construct buildings, and transform resources in the Stronghold. The Chief has all the privileges listed above. They can also disband the Clan, fill in the Clan Regulations section, transfer power to another Clan member, and construct and destroy the Stronghold. If necessary, you can leave the Clan by clicking the "Quit the Clan" button in the My Clan tab.